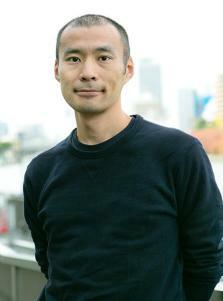 Shinsuke Yoshitake (1973–) was born in Kanagawa Prefecture. He completed a graduate degree in plastic arts and mixed media at the University of Tsukuba. In addition to working as a commercial artist and producing sculptures and other art projects on commission, he has published books of sketches, including Shikamo futa ga nai (And There’s No Lid) and Ja kimi ga suki (In That Case, I Like You). 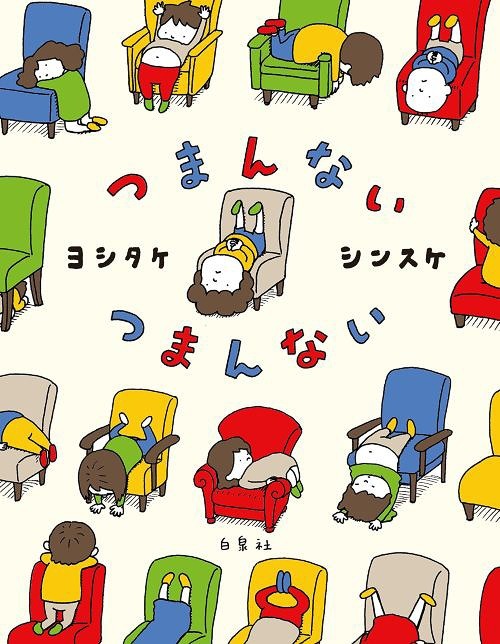 His first solo picture book, 2013’s Ringo kamo shirenai (tr. It Might Be an Apple), is a plotless collection of fancies triggered by an ordinary apple; the work struck a chord and has been translated into several languages. He has followed with Boku no nisemono tsukuru ni wa (tr. Can I Build Another Me?) and Kono ato dō shichaō? (tr. What Happens Next?) in a series of what have come to be known as “concept picture books.” His sketches have won a following for the way they capture slices of life with an exquisite eye for detail. In Spain he has published with Barbara Fiore (Atascado, 2018) and Pastel de Luna (Me aburro, 2019).